Voluntary and community organisations, groups and individuals within the DT9 postcode area can apply for awards from the new charity fund. The DT9 postcode area was chosen as it covers the community catchment area that has Sherborne at its heart. 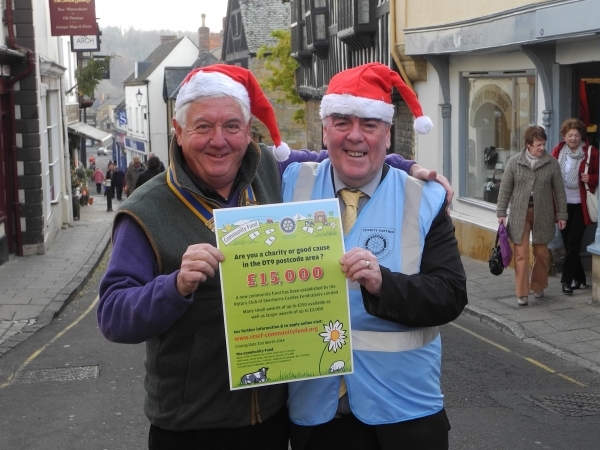 Over the past ten years Rotary Charity Fundraisers has raised over £500,000 for charities and good causes. A small portion of these funds has been set aside each year to enable The Community Fund to build up to a level where it could begin to operate independently.